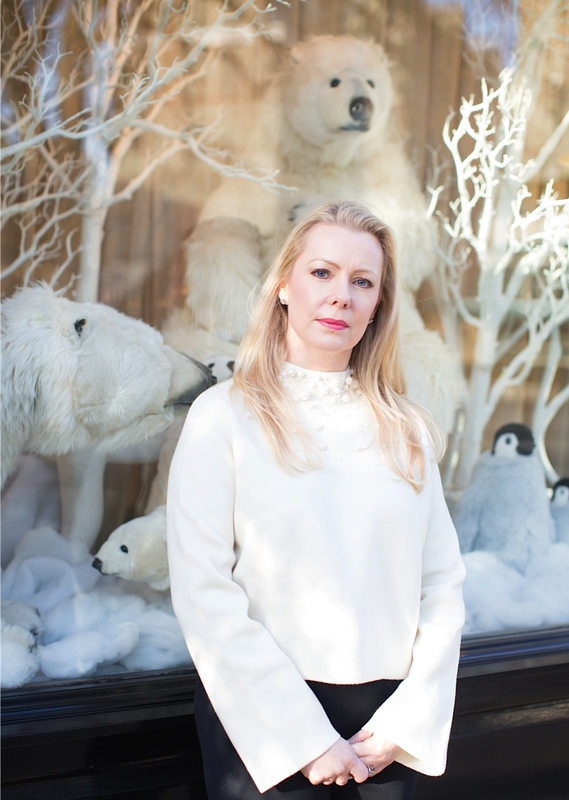 As it is New Years Day, and it is FREEZING where I am in Brittany, I thought doing a post with some Polar Bears and Penguins as a backdrop might be appropriate! I promise that this will be my last post involving my haul from & Other Stories for a while (I did warn you that I find this store irresistible). I fell in love with this sweater at first sight. I didn’t even need to try it on; I just handed it to my husband to hold on to while I ran around the store hyperventilating and grabbing things in my size. It has lovely, elegant, bell-sleeves and a slightly cropped waist, thus making it an entirely different silhouette from every other sweater I own (and providing me with the perfect justification for buying it). I love the classic winter white colour. And the PEARLS! …or “quiet sequins” as I am starting to think of them. 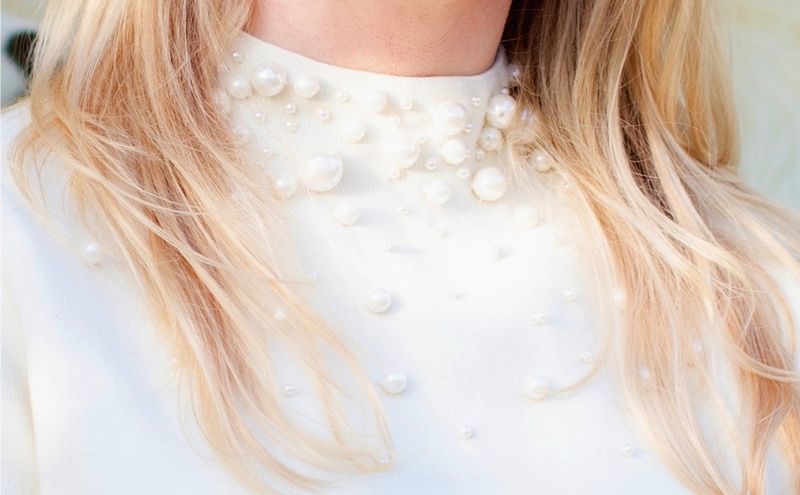 Pearls are EVERYWHERE on Instagram and blogs lately (and probably in magazines too, I just don’t read them as often), and I think a sweater like this is an ideal way to participate in the trend, but won’t look dated in a year. 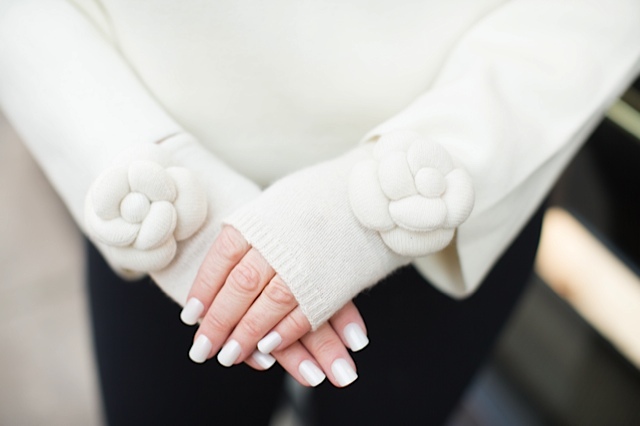 There is a real Japanese-style tranquility about this sweater (I know, that sounds overly dramatic for something made of yarn and plastic pearls, but that is how it makes me feel). I am usually much more of a sequins and crystals kind of gal, but I’m really enjoying this wintery pearl-festooned sweater. I’ve worn it with jeans, with a simple pencil skirt, and here with a pair of skinny black trousers (which is how I think it works best, to emphasise the boxy cropped shape on top). 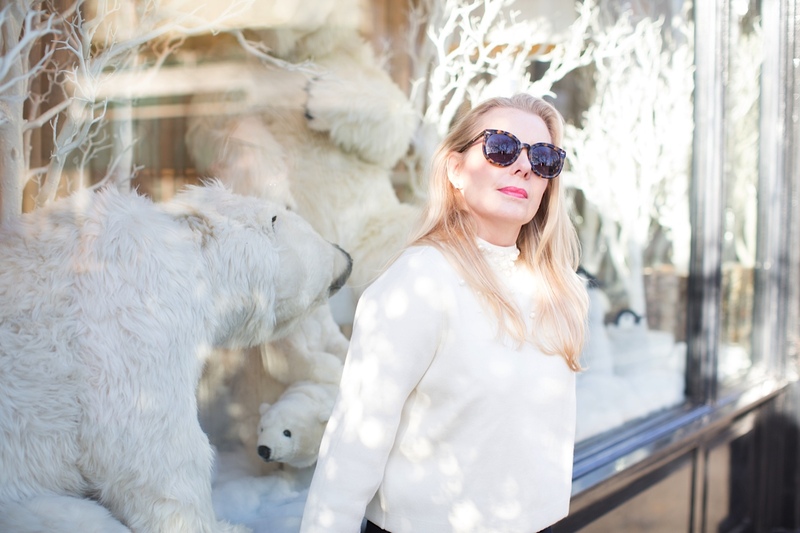 So, from the Polar Bears, Penguins, and Me… Happy New Year! I hope 2015 is a year which brings a little peace and harmony to the world, and much happiness and love to all of you. Love! I would actually look forward to cold winter weather for a sweater like that. Yeah, the best thing about winter is definitely the clothes, Little Red.